Michmash, Geba and the "Pass"
Michmash is also known as Machmas, Michmas and Mukhmas; Geba is also known as Gaba and Jeba'. 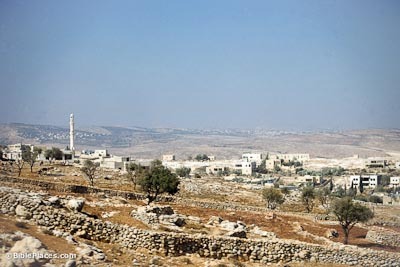 The Arab village of Mukhmas preserves the name of the biblical city of Michmash. The town sat next to “the pass” mentioned twice in Scripture and apparently served to keep an eye on this important route. Michmash was settled throughout the period of the monarchy, as it was mentioned in the account of Saul and Jonathan and later in a prophecy of Isaiah. After the exile, 122 Benjamites returned to live here. Michmash was near the border between Benjamin and Ephraim, and thus near the border of the northern and southern kingdoms, probably belonging to Israel most of the time. 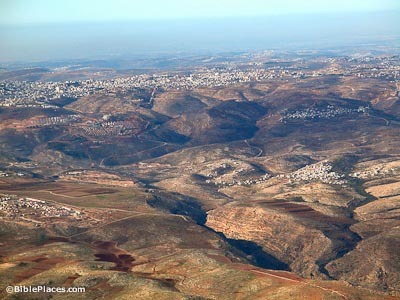 Southwest of Michmash is the modern Arab village of Jaba, which preserves the biblical site of Geba. A Levitical city in the tribal territory of Benjamin, Geba was fortified by Asa during his war with Baasha (1 Kgs 15:22). 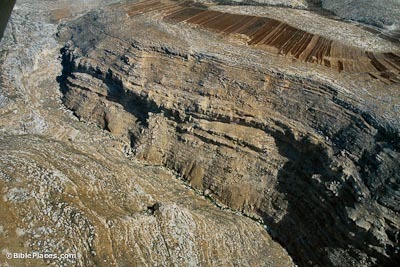 During the time of Josiah, Geba was apparently the northernmost city in Judah, as the king destroyed the high places “from Geba to Beersheba” (2 Kgs 23:8). Because of the present occupation, the site has not been excavated. The hill country is deeply cut by deep canyons (wadis) that run east-west. These significantly restrict traffic to the ridges above the wadis, making passage north-south difficult except on the central watershed ridge. One exception to this is this “pass” in the Wadi Suwenit – a broad place in the canyon where passage is easy. Consequently this route is noted in Scripture on several occasions. Isaiah the prophet speaks about an invasion from the north that moves by Michmash, across “the pass,” and on to Geba, Ramah, Gibeah, and Jerusalem (Isa 10:28-32). 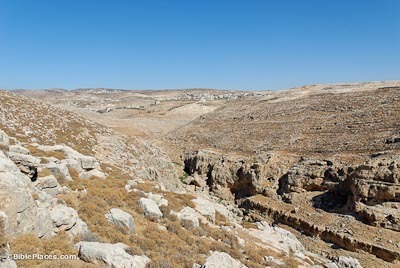 The pass is also mentioned in connection with Jonathan’s attack on the Philistines (1 Sam 14). Saul’s son surprised the Philistine garrison by not coming across the pass, but instead going around and climbing up and down steep cliffs. These cliffs were named Seneh and Bozez (scholars debate the meanings of these words). When the Philistines saw Jonathan and his armorbearer climbing up, they called to them to continue, thus signaling to Jonathan that God was with them. Jonathan’s defeat of this contingent led to a national victory that day. Michmash (LoveToKnow) Good encyclopedia article providing introductory information and explaining the site’s strategic importance. Michmash (International Standard Bible Encyclopedia) Briefly discusses the biblical passages relating to Michmash and describes the geography of the area. 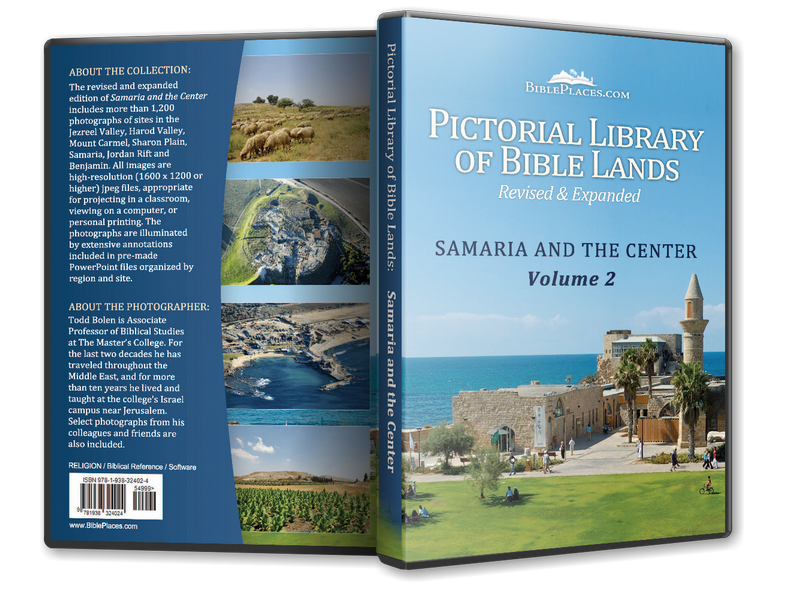 The Battle of Michmash (Larry Wood) A survey of the biblical story with a nice map illustrating the events of 1 Samuel 13-14.